﻿Inlio is the pinnacle of office lighting. However, can also be used in car showrooms and other representative spaces. Inlio direct-indirect lighting offers Edge Lighting technology that scatters light on the sides as well. 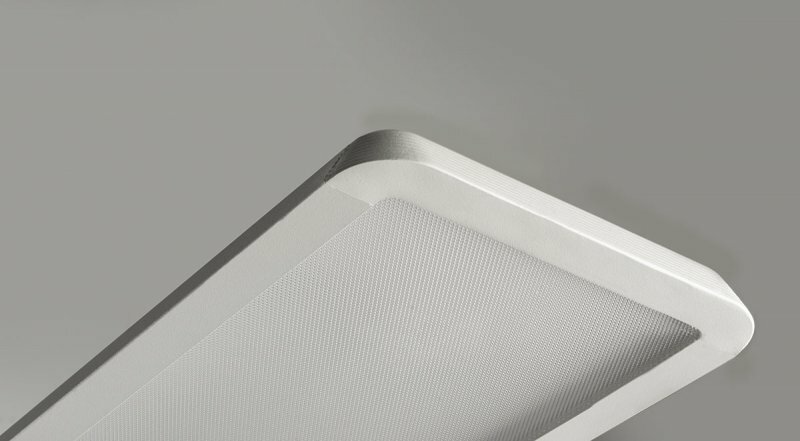 The central cup containing the control electronics is located in the centre of the luminaire. 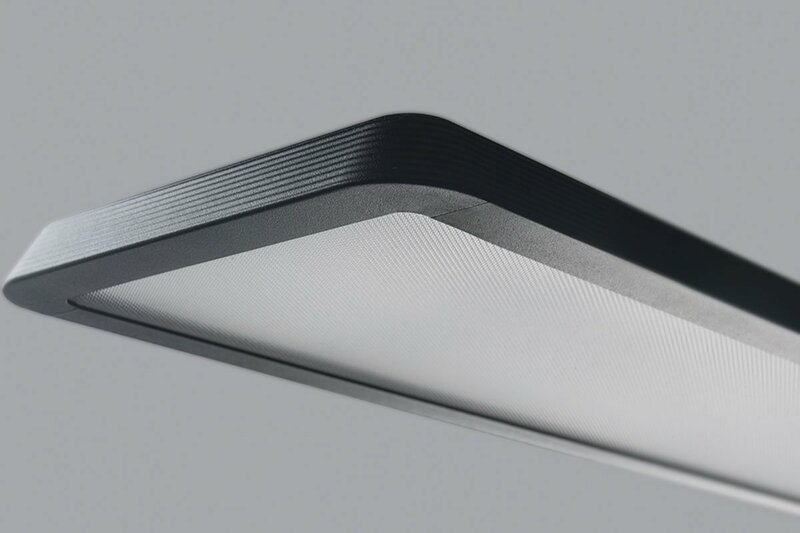 Just 24 mm - that's the height of the luminaire along its entire circumference. When you add a second feature to this, bevelled edges, the light becomes even thinner optically. This enables emphasizing a space without disturbing it. The rounded edges and wavy structure give the light a distinctive character, created by the designer Matúš Opálek. A practical feature at the end: dirt does not shine through on illuminated surfaces. ﻿Just 24 mm - that's the height of the luminaire along its entire circumference. When you add the second feature to this, bevelled edges, the light becomes even thinner optically. This allows us it to emphasize space without disturbing it. The version with a recessed cup in the ceiling which conceals the control unit represents a nice enhancement. 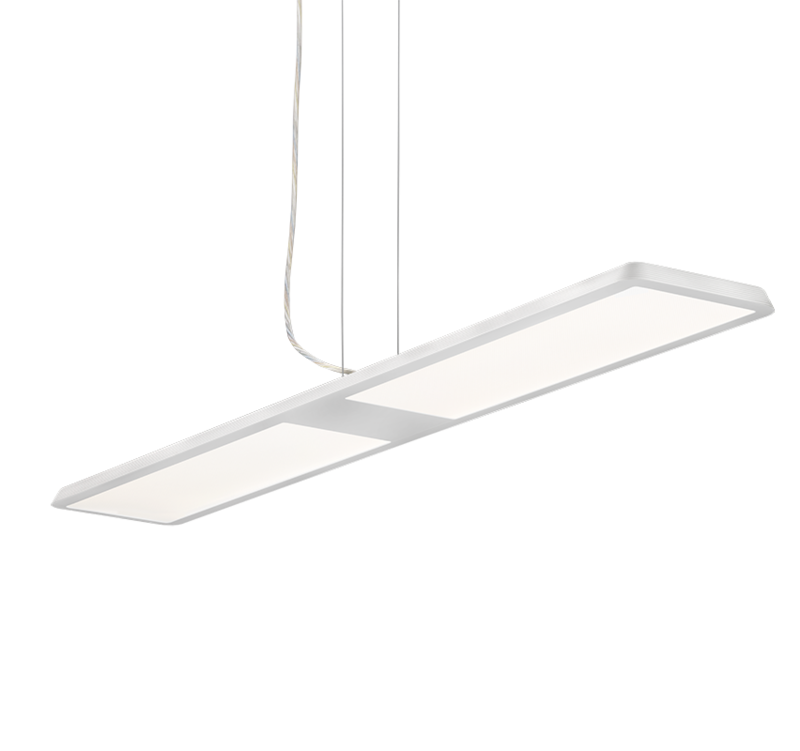 The power supply of the luminaire is cleverly placed in the suspension cords. 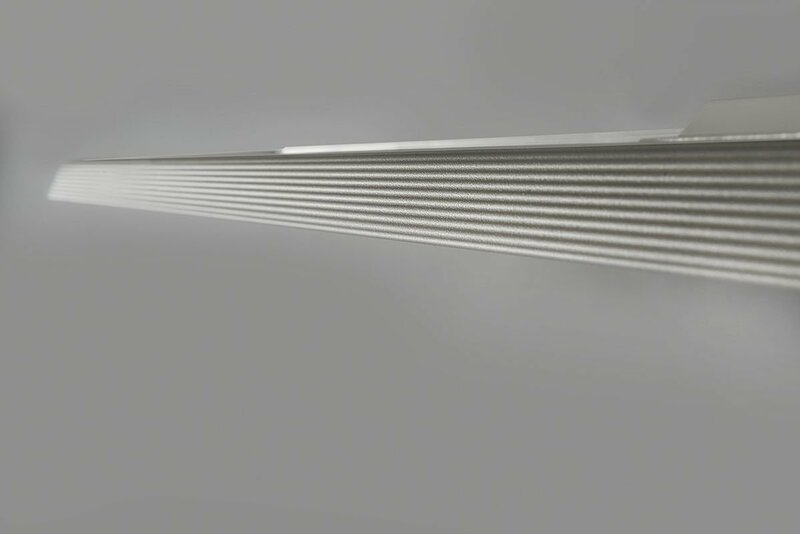 The rounded edges and the wavy structure give the light a distinctive character, which was created by the designer Matúš Opálek. Practical feature at the end: dirt does not shine through on illuminated surfaces.